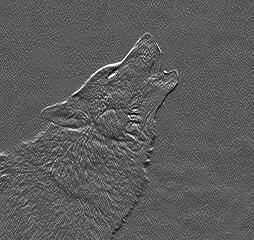 This is my adopted wolf Maya. 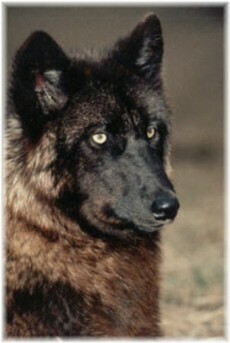 She resides at Wolf Park in Battleground Indiana. 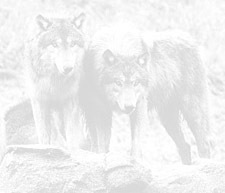 If your interested in wolf adoption, contact Wolf Park. I have a link to their site on my pages. Isn't she beautiful? Maya passed suddenly and unexpectedly around the middle of the day March 6th. 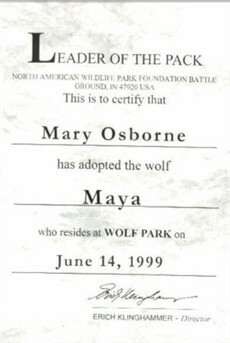 Maya was a very special little wolf, overcoming many obstacles in the course of her short life she will be remembered always as buoyant and a joyous personality. I expect to be adopting Maya's sister soon. You will be be hearing more on that later.